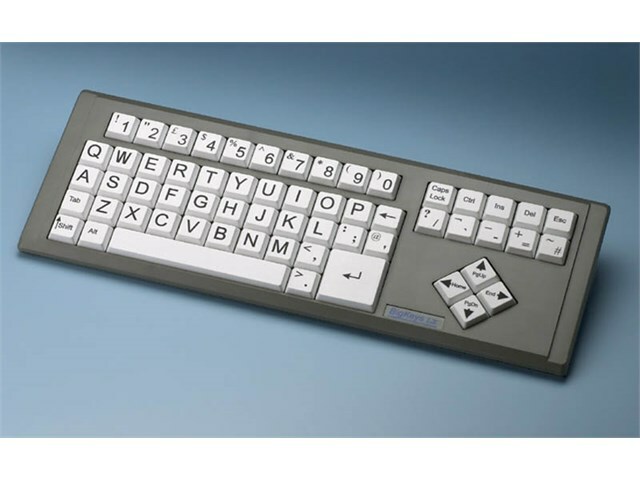 The Big Keys LX Keyboard has 60 large, chunky keys and offers access to function keys. 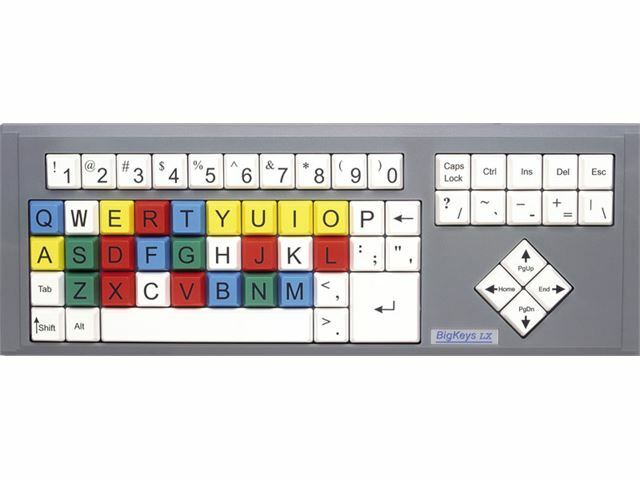 It is available with uppercase letters with either coloured or white keys in a QWERTY keyboard layout in a US Format (see images for layout information). The keys help the user to recognise when they have been pressed with a nice distinct click and will not keep repeating a letter if held down. Keyguards are also available to purchase separately. Please note: QWERTY layout keyboards are available in a US format only.